After so many good coffee and Western breakfast, there’s finally a new dim sum restaurant emerged in Publika shopping mall, giving another dim sum option to diners besides the one in EAT Food Village. 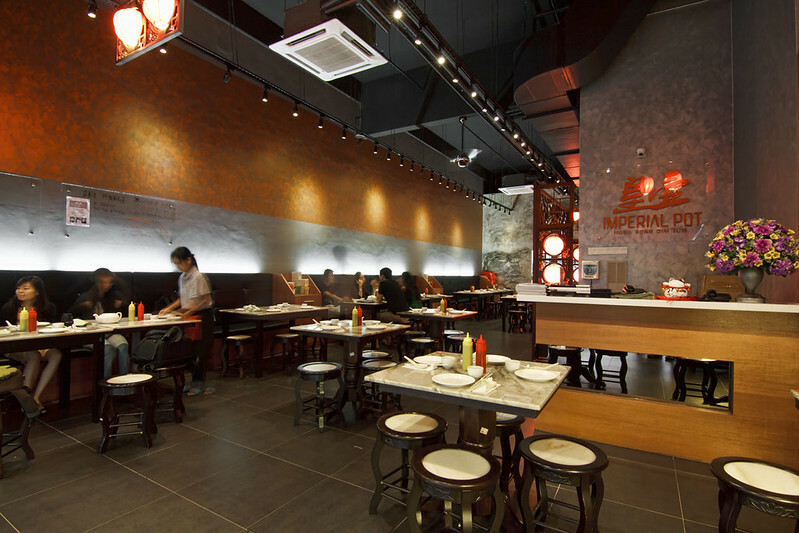 Named Imperial Pot, this dim sum restaurant caters all day dim sum dining from 9.30am to 9.30pm daily. 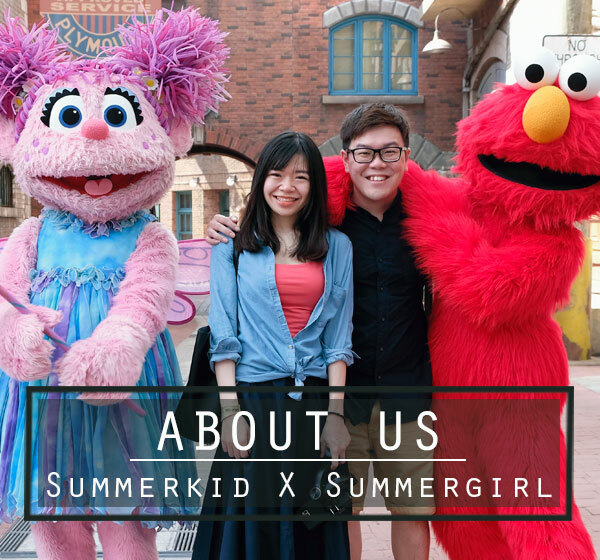 The menu is complete with wide range of traditional dim sum including those must have siu mai, prawn dumpling, loh mai gai, porridge, pau, etc., and you will be surprised to find some novel oriental flavours with modern twist such as spinach ball, charcoal skin har gau, bak kut teh xiao long bao, just to name a few. 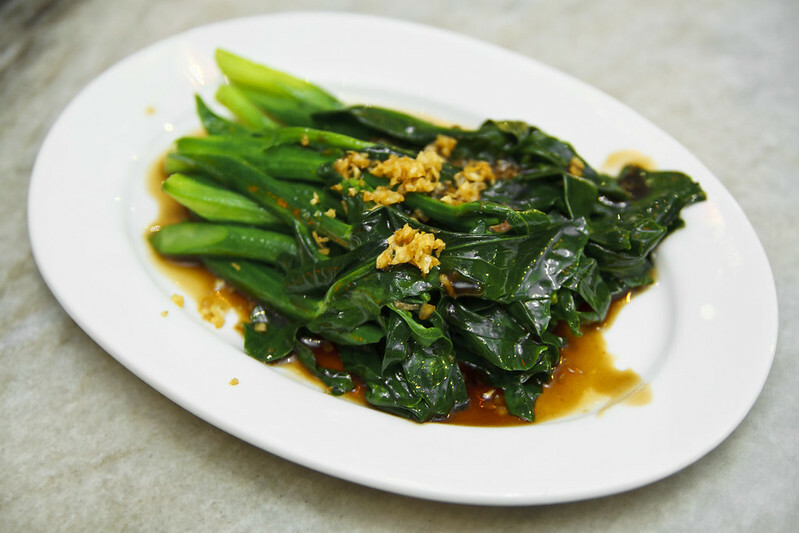 From 12pm onwards, they also have steamed rice, noodles and some ala carte dishes if you want to have proper mains. Located at upper ground level facing the main road, Imperial Pot may fall short in terms of location as the area comes with less foot traffic. But the shop definitely worth some walk to get a taste of their dim sum, as the culinary team behind the kitchen are from House of Tang One Bangsar. 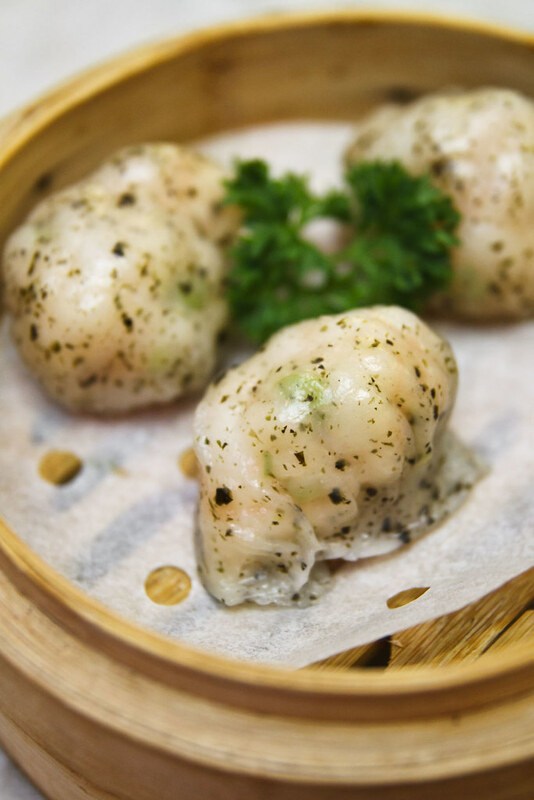 You will be assured with their good quality dim sum. 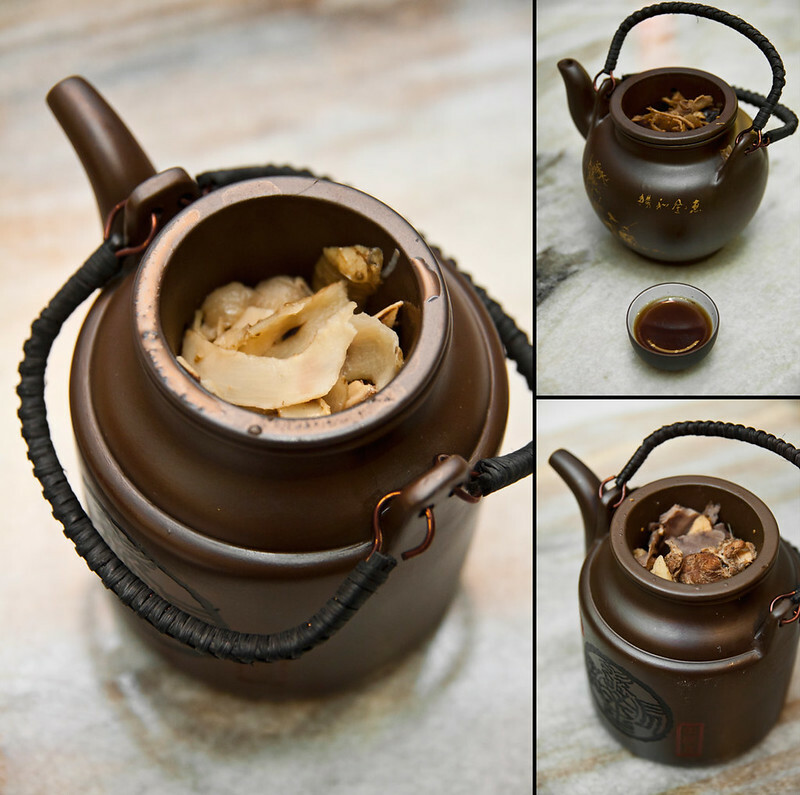 Imperial Pot serves a range of Tea Pot Soup – Yok Chok Chicken, Black Chickn, Ginseng Chicken and Nutritious Herbal Pork. Very nourishing and nutrition packed to boost up the circulatory system in the body. One of the chef’s speciality. 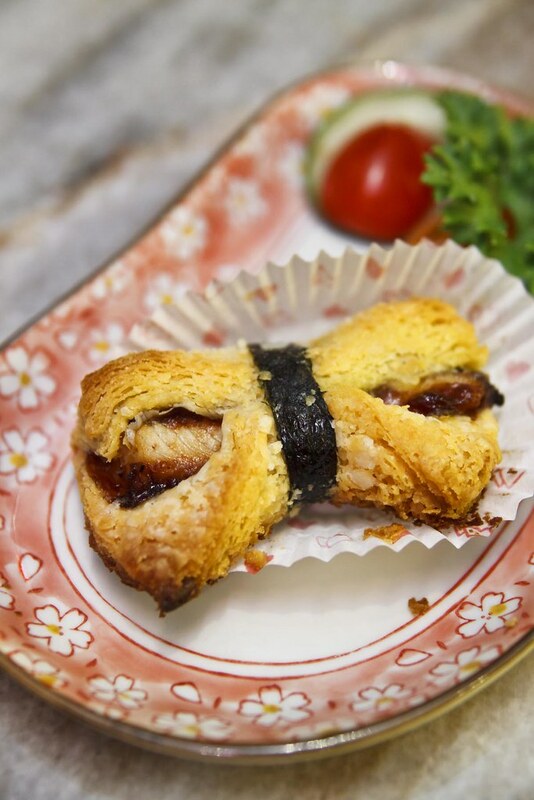 Soft, flavourful barbequed unagi wrapped within puffy, buttery pastry, ribboned with seaweed. Blissful bites that alsmot melt in mouth. Healthier version of bun by replacing normal white bun with charcoal bun. 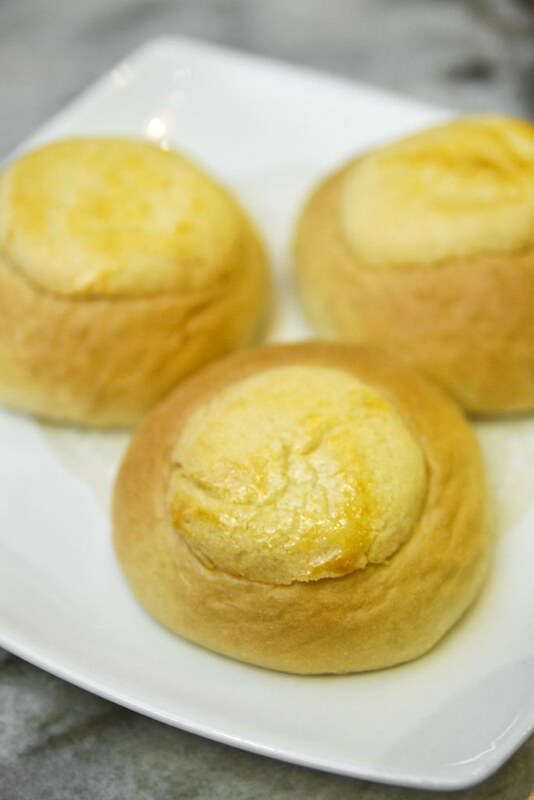 Bitting through the soft, fluffy bun and prepares for a satisfying burst of steaming hot medium sweet yet savoury custard filling. Almost creamy. Nice. 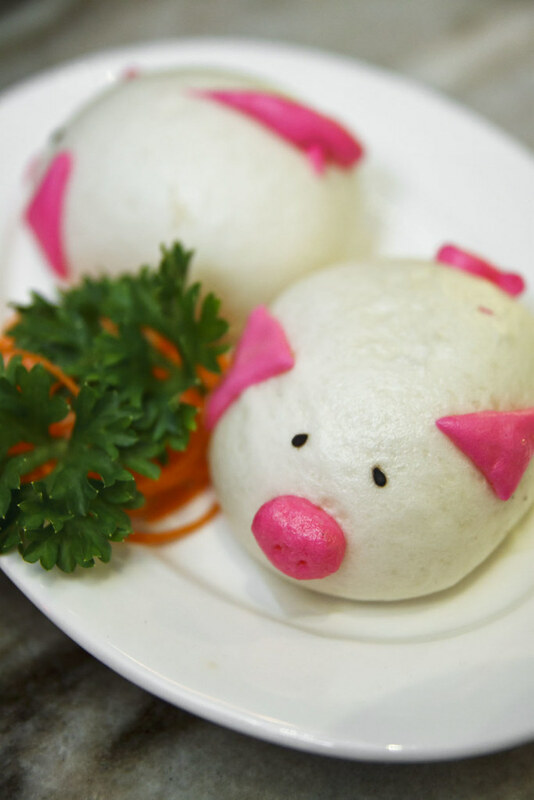 Buns in pig shape, too adorable to put them into mouth. Not as good as the charcoal egg custard bun, but the cute outlook is good enough to earn themselves some points. The menu continues to go creative with this steamed bak kut teh dumpling, aka xiao long bao. 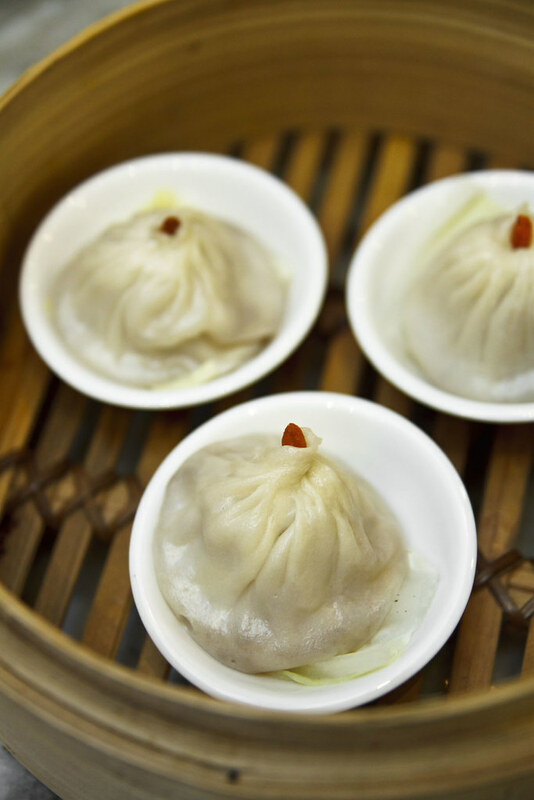 Within the plump dumpling skin brims moist, juicy minced meat coupled with flavourful bak kut teh broth, a new xiao long bao version with extra oomph that you can hardly find elsewhere. Better if the skin can be thinner, smoother. 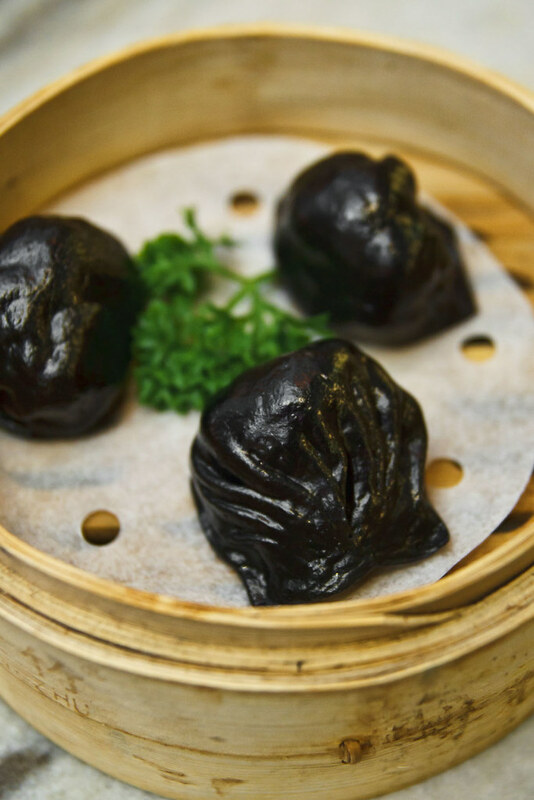 Another charcoal infused dim sum stuffed with bouncy prawns and minced meat. Calls it the beautiful black, tastes as beautiful too. 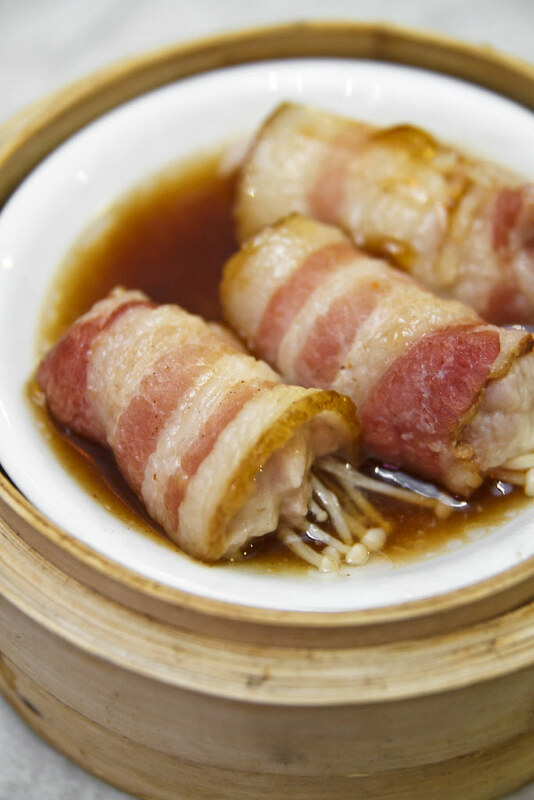 A perfect marriage as the salty, smoky flavour of bacon wrap stightly with the juicy and crunchy enoki mushroom. Texturally good, addictively tasty. 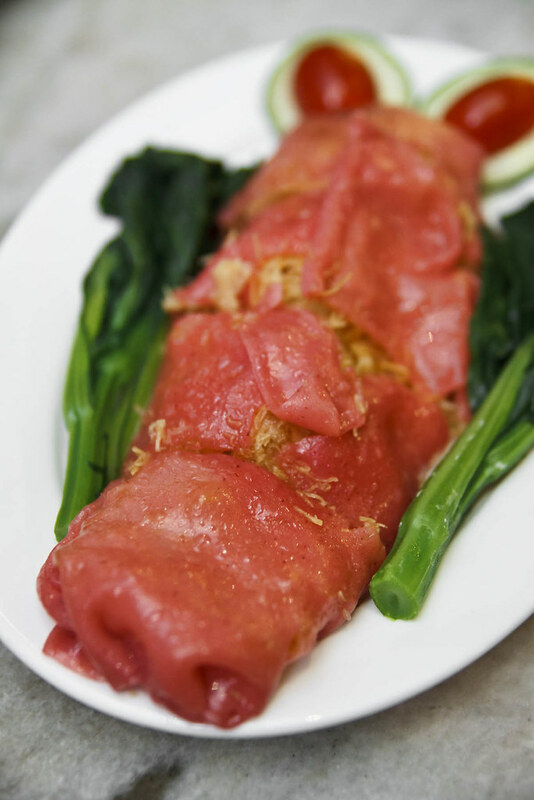 The bright red rice roll wrap whipped up our curiousity, knowing that it will not be the usual Hong Kong Chee Cheong Fun. It’s true, hidden within roll, there’s deep fried crunchy pastry other than prawns. The rice roll isn’t fantastic, but the crunchy texture successfully make this chee cheong fun turns memorable. 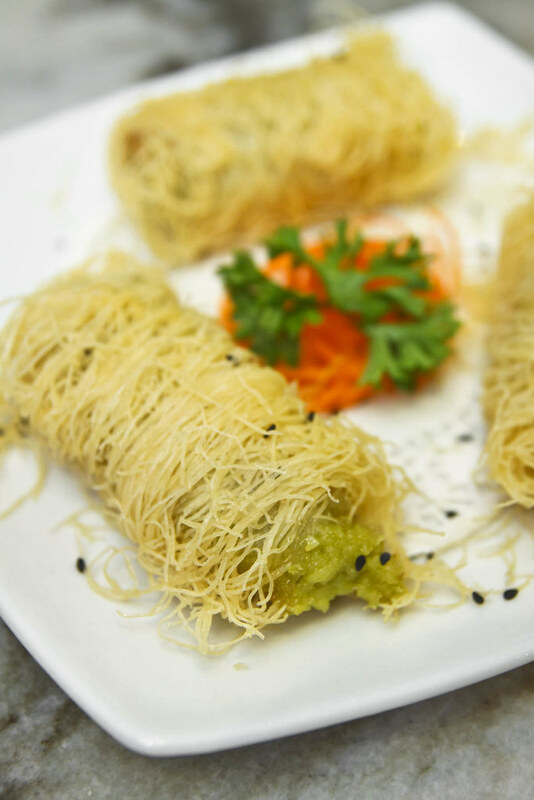 When avocado has been crowned as healthy fruits nowadays, there’s no harm adding a plate of Deep Fried Avocade Roll with Crispy Silk Wrap in your dim sum meal to give extra nutritions. Crispy aside, the sweet, creamy and buttery sensation of the avocado filling will make you easily fall in love with, even children. Recommended if you were there. 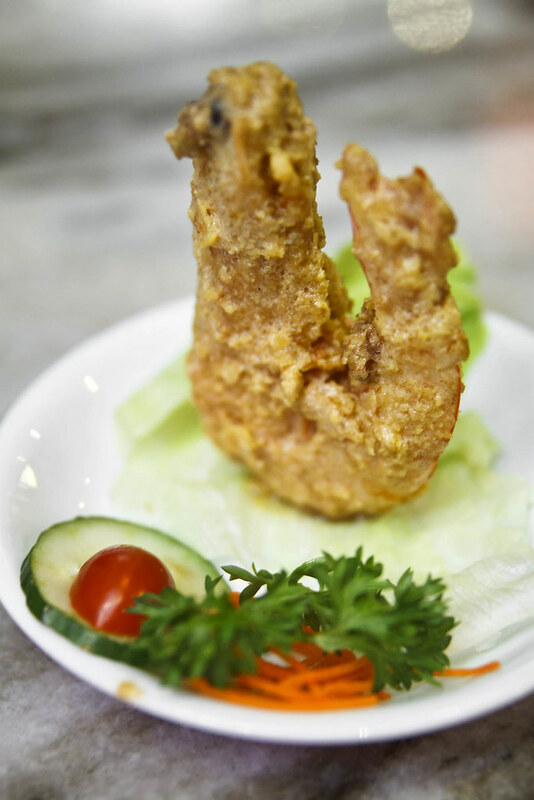 Fresh whole prawn coated with salted egg yalk and deep fried to golden brown, crispy and dried body. You can even eat the whole prawn including the shell, which was what we did. A plate of leafy greens to balance up the amount of protein and fat we had taken in. Tastes good in the simple way. 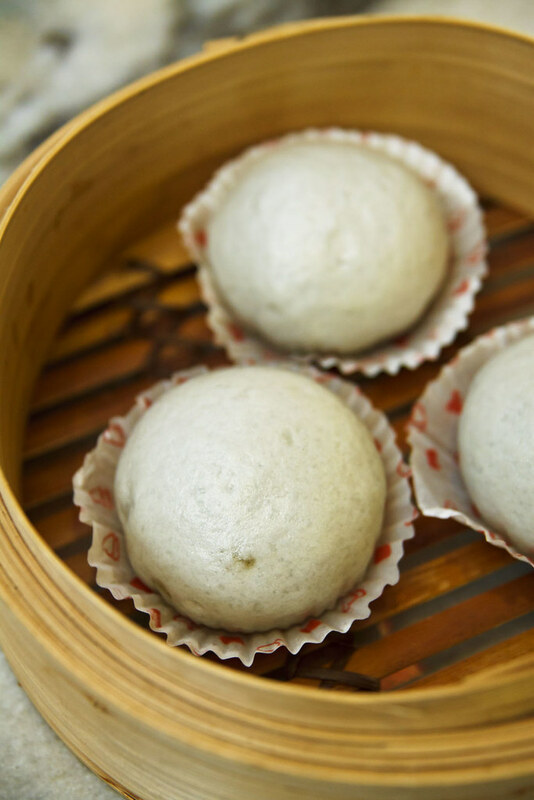 Rather pale comparing to other dim sum, but still stand out for its fluffy fresh bun. 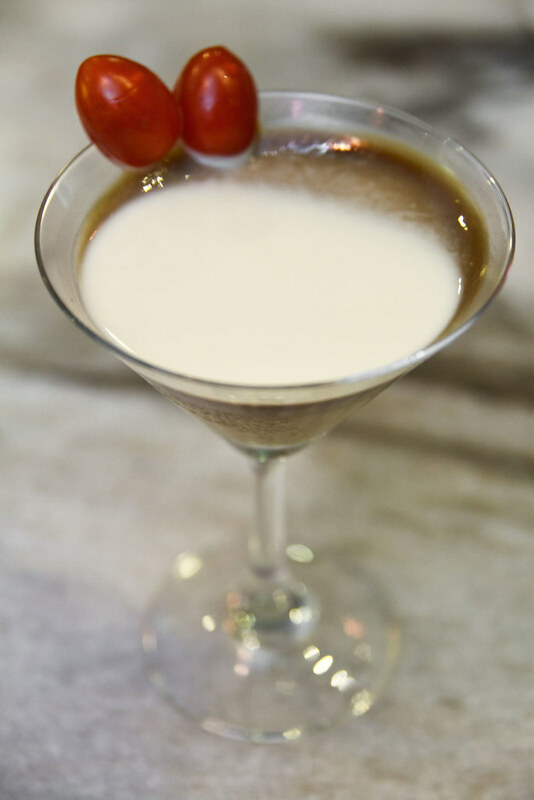 Utilizing the well known coffee source easily found from the market, Imperial Pot managed to present a velvety smooth, creamy pudding, tangling with a hint of coffee scent. Good job. 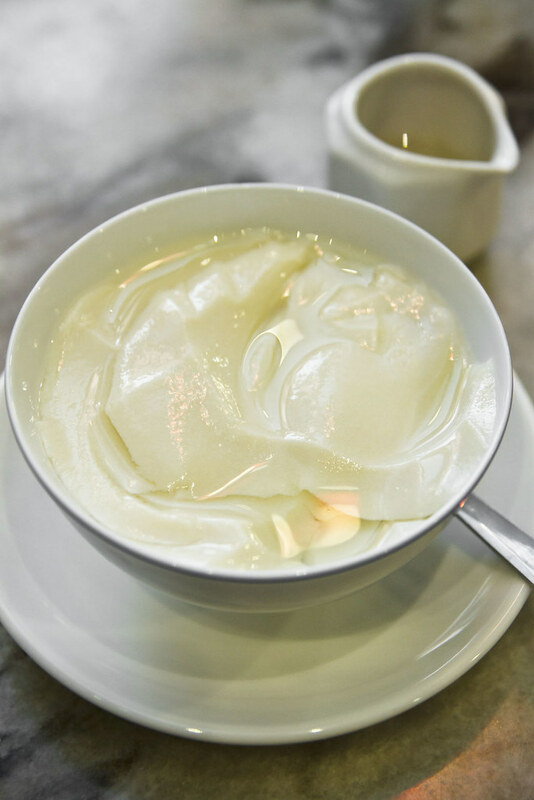 Reaching the last dish, we go back to the traditional way, having the all time favourite tau fu fah.